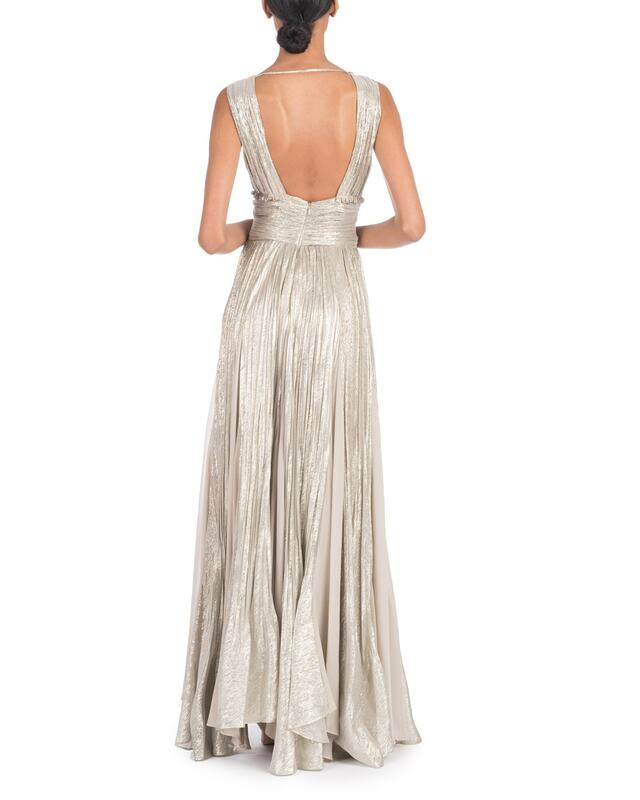 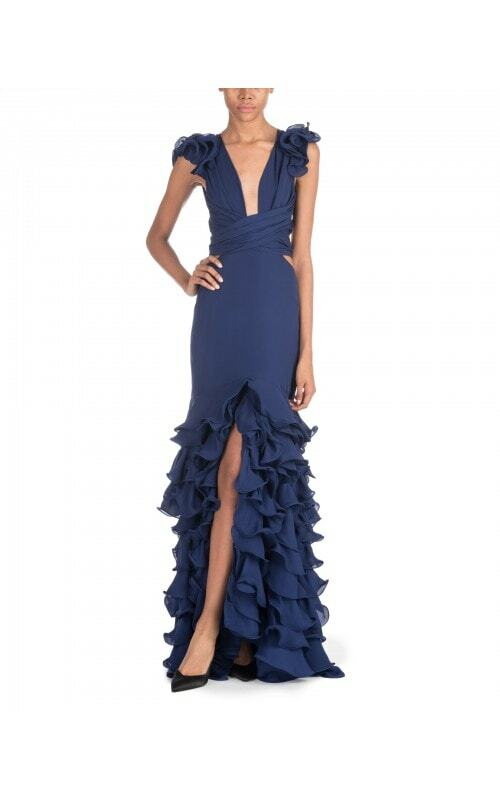 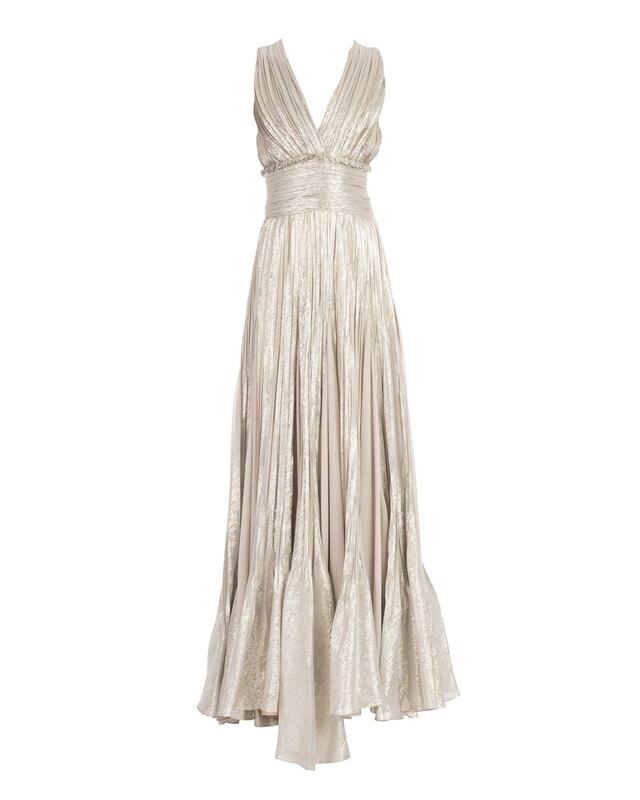 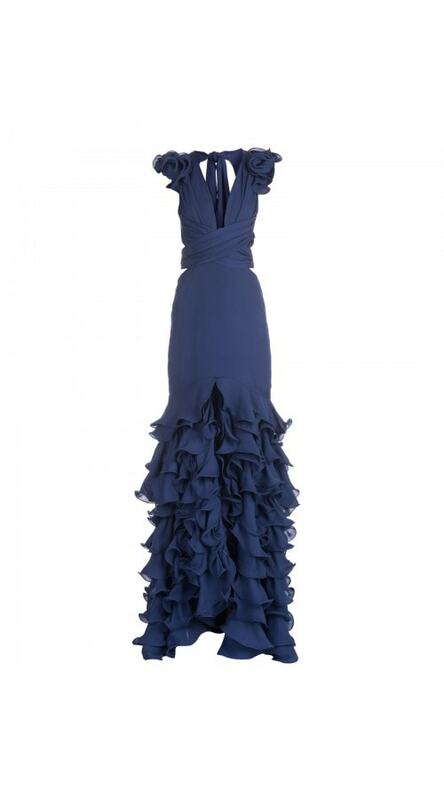 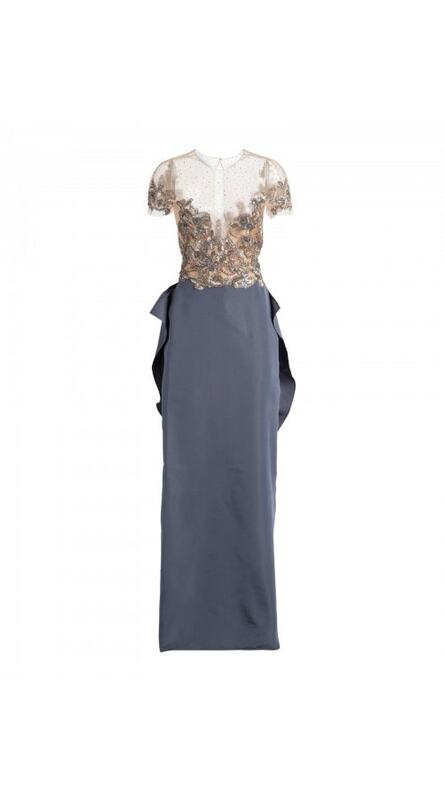 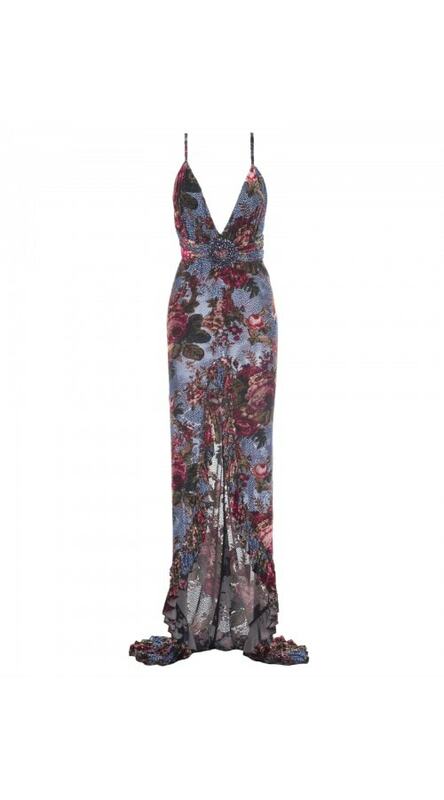 This sleeveless gown features a V shaped gathered neckline and a defined waist for extra femininity. 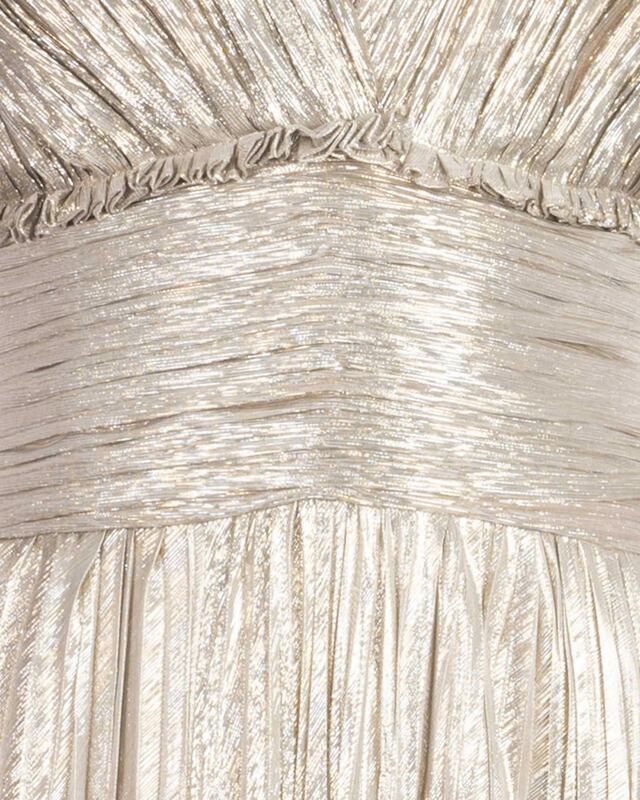 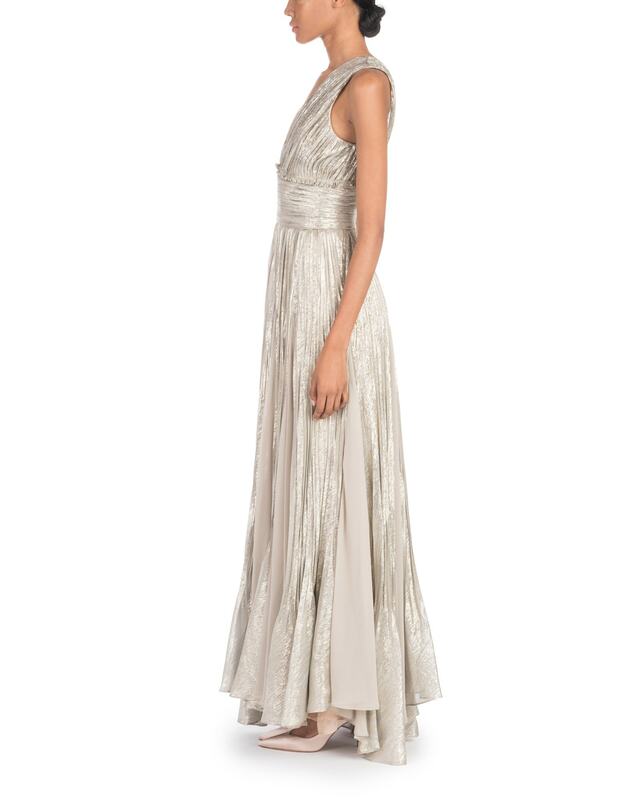 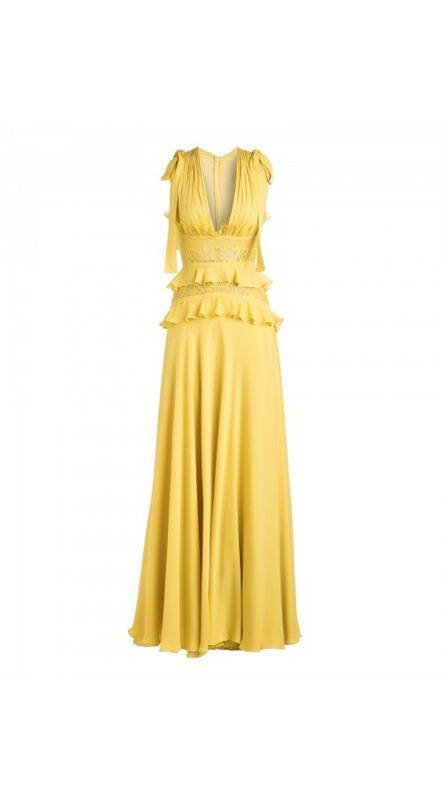 Flaring into an A-line, the skirt presents dramatic asymmetrical pleats of gold lamé and underlying champagne chiffon. 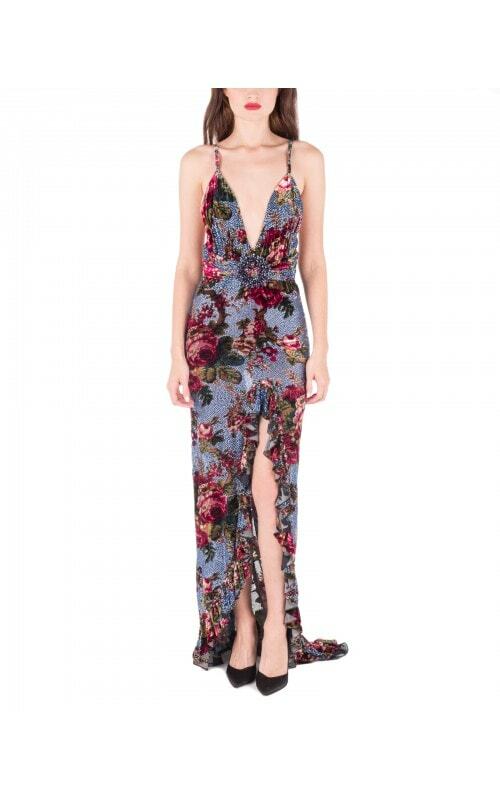 Size 10US: Bust 40", Waist 32", Hip 47", Shoulder to hem 64"